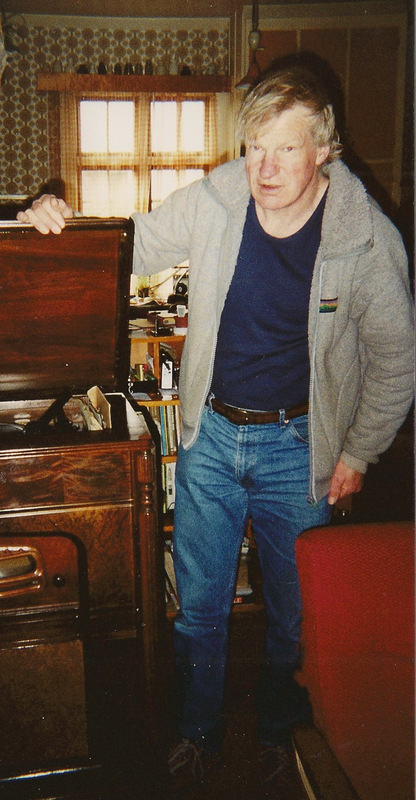 Arthur Williams of Invercargill has passed away. Wednesday 15 July at 2.00pm. 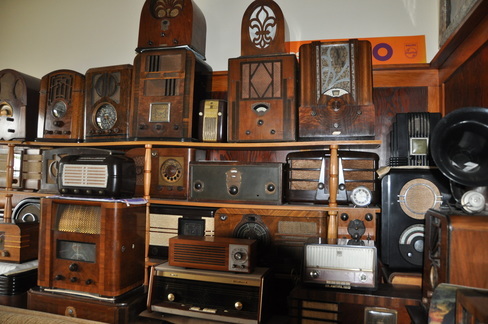 involved in the Awarua Radio Museum Project. On behalf of all members, we extend our sympathy to Veronica. suitable tribute in the next issue of the DX Times. Very sad news. First met Arthur at League AGMs in Oamaru in the mid-70s. He stayed with us on one occasion. 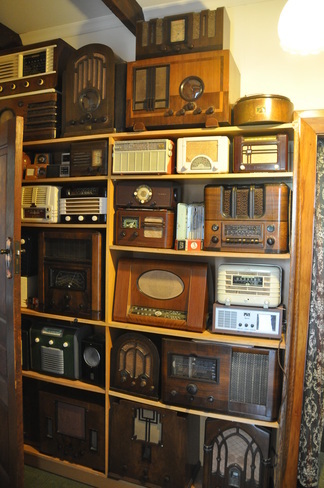 Arthur was the quiet type, very interested in all technical matters of radio, and TV (he had an amazing collection of valve radios and old black and white TVs. Arthur was a frequent attendee at League AGMs and conventions. 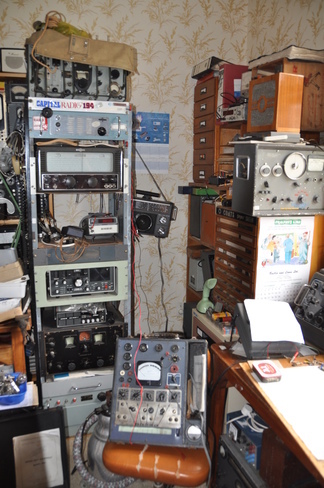 He was also instrumental in turning the Awarua Radio complex into a museum and sold screeds of stuff on TradeMe for fundraising towards it. Arthur worked for the P&T department as a linesman I think, was a very keen cyclist and mountaineer as well. I remember him surviving a nasty fall in Mt Cook area (Copeland Pass) which saw him med-evac’d to Base Hospital in Hokitika with severe internal injuries and broken bones. My thoughts go out to Veronica and family. Sorry to hear about Arthur’s untimely death he had suffered a heart attack a few months back and died at home on Thursday. As far as I know Arthur was originally from Timaru and his sister lives just down the road from me. 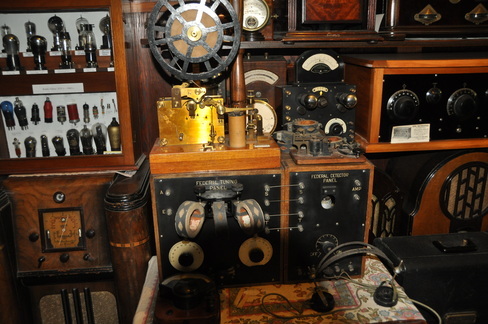 As PO said Arthur worked for the P&T as both a linesman and later on doing workshop repairs on phones until the big redundancies saw most of the staff go. In later years he worked for a vet just out of Invercargill and regularly biked the 9 km to work. He came to Invercargill and the Branch after doing a lot of work in Twizel. In a bit of a coincidence he bought 26 Centre street which had been my uncles house many years previously, fellow DXer Neville Henry and friend Callum flatted with him. Neville and Arthur did their OE together and Arthur came home again, we had great parties at the address in our younger days usually with several tramping club friends and on one occasion some dope smoking gatecrashers. 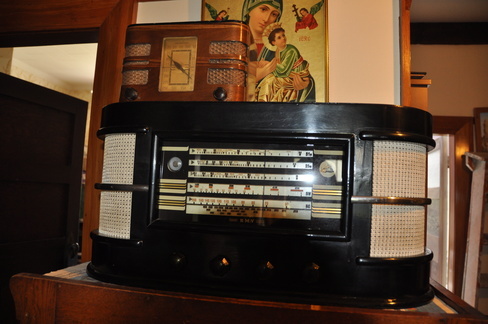 The house was a wonderful museum of radio and telephone and Arthur was very knowledgeable on both. Thought to be a confirmed bachelor it was something of a pleasant surprise to us when he married Veronica with several Branch members present. 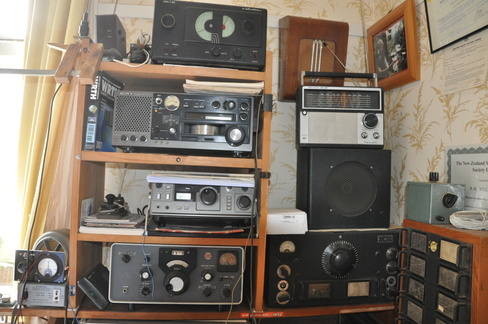 Arthur was instrumental in sourcing some of the original Tiwai equipment including the telephone poles that held aerials out from the house and was one of the regular workers in the early days. 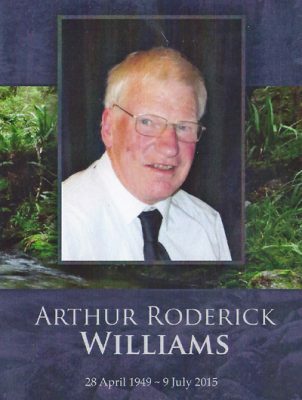 I first met Arthur Williams when he lived in Timaru. He used to come to Oamaru when the North Otago Branch held their meetings. Sometimes we would travel to Timaru and meet Arthur and other D.X.ers who lived there. 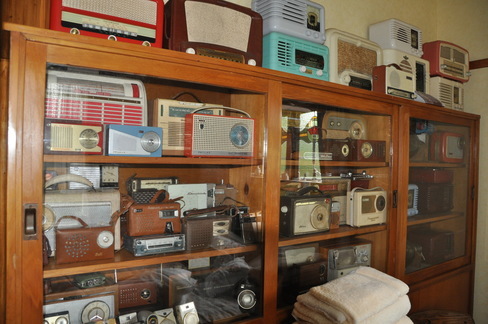 One hilarious meeting was held at a house just north of Timaru and just south of Temuka. One D.X.er took us on a tour and showed us a burnt patch on the ground at the back of his house. He maintained a round space ship landed there and strange looking creatures came out and surveyed the surrounding area. After a while the strange creatures took off in a great hurry. I am sure Arthur was part of the Timaru group that attended that strange meeting. He attended most conventions and in his own quiet way would have something worthwhile to contribute to the proceedings. 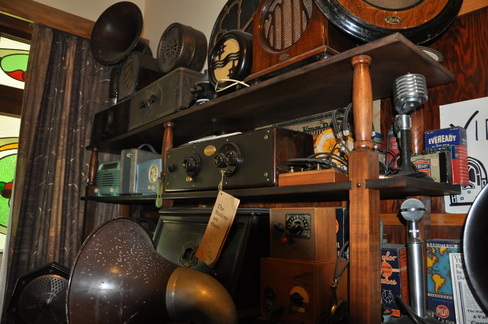 He had a phenomenal memory and could quote valve numbers, radio station call signs and anything about the history of vintage radios off the cuff. I was a keen tramper some years ago and become aware of Arthur’s exploits in the Tramping and Mountaineering field. He climbed and tramped in Fiordland and on Stewart Island. He was one of a group who helped Murray Gunn rebuild the Hollyford Valley camp when part of it burnt down. He was always helping restore or build huts and tracks in remote areas and helped restore huts and tracks on Stewart Island. We once visited Arthur in Invercargill after we had spent three days tramping over the Kepler Track. After we had edged our way through all the vintage radio, juke boxes etc, Arthur informed us that he had run over the Kepler Track in six and half hours! He was a man of quiet disposition whose interests were many and varied. Our sympathy and thoughts are with Veronica and family. I am saddened to read about Arthur’s passing nearly a year ago (in July 2015). 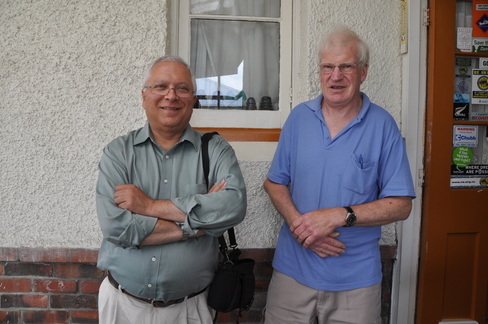 We were fortunate to have visited him and Veronica in Invercargill in 2013. 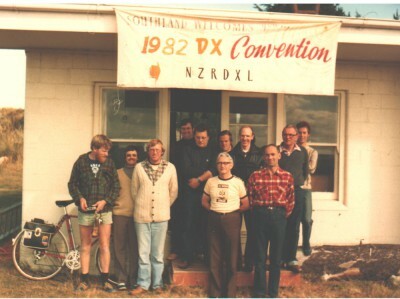 Being a Dunedinite in the 1970s (and president of the former Otago Branch of the NZRDXL) , I visited him a few times and we travelled in his VW Beetle to Christchurch to catch the ferry to Wellington for the Wellington Convention held at Tatum Park. 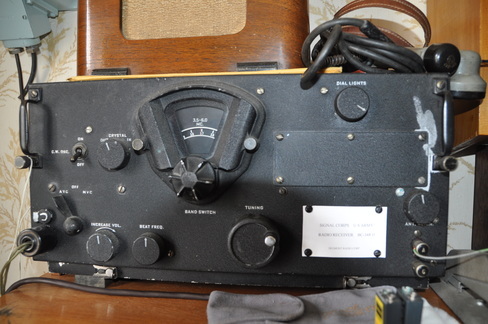 We also shared the common hobby of amateur radio. RIP Arthur. Saddened to hear of the passing of Arthur, l didn’t know this. 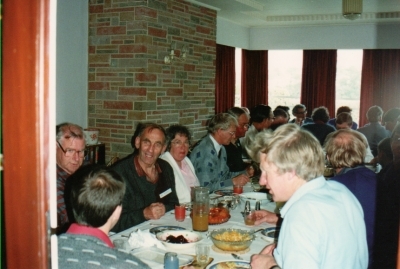 He was a very unnasuming fellow, and was very generous in his efforts to build up the Awarua Radio Museum right from the start (about 1985). 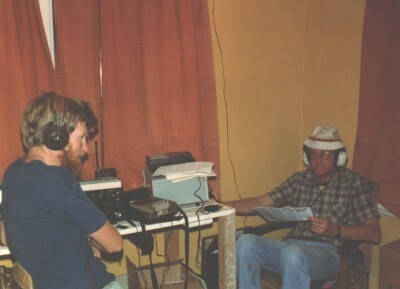 That was in preparation for the Awarua Radio 75th Jubilee in December, 1988. I remember he donated several 829 transmitting triodes (for fundraising) which came from the original 4ZA transmitter at Dacre. 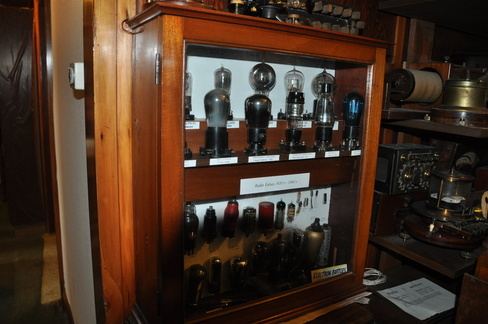 Then he made very nice rimu wooden plinths to mount the valves for display. The wood came from the old NZART Br.37 Southland clubrooms in Ettrick St when they were demolished to make way for the new clubrooms. Thus Arthur showed himself to be a real man of history. R.I.P Arthur, your memory will live on.